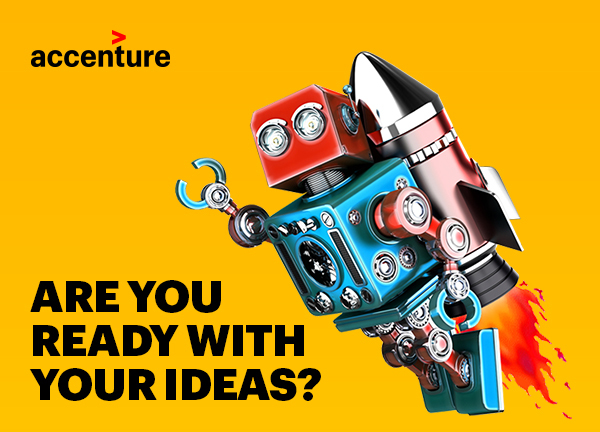 Take a part in AccentureInnovationChallenge and Let's make your idea into reality.Are you ready to change lives and businesses? If yes, the Accenture Innovation Challenge is for you!They are looking for innovators in campuses across India. This is the chance to make your idea rising on a national platform. You stand to win Big and exciting prizes and recognition, and Get shortlisted for working with Accenture. Evaluation based on innovativeness, technical feasibility and impact.